News Today from Conneaut Lake. 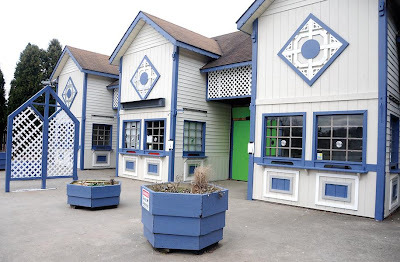 The amusements parks trustees committee has been ordered by the Pennsylvania Attorney General to turn over a all financial documents as well as all meeting minutes, insurance documents and profit/loss statements dating back to 2007. This is the second time that the small amusement park's trustees committee has been under investigation by the State of Pennsylvania. The committee oversees the trust fund which keeps the park operating year after year and they where last investigated in 2006 for possible misuse of funds and insurance issues. The board is under investigation for failing to take advance of advertisement and business opportunities which would raise park review, failing to insure park properties like the fire razed Dreamland Ballroom and driving business away from Hotel Conneaut. According to the count petition, they failed to insure the Dreamland Ballroom and the Beach Club against structural loss as well as failing to uphold the parks best interests. This all comes as a result of the Crawford County Board of Commissioners threatening to put the park up for sale due to unpaid property taxes, taxes the trustees committee is suppose to be handling. What is the future of Conneaut Lake? We're not sure but in sixty days some action will happen. Stay turned until then!